This single was released in 1972 at the same time as other versions of 'Carmen Brasilia' by Bob Callaghan and co. and Revolution System. 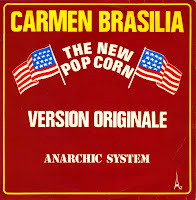 Like the other versions, 'Carmen Brasilia' is an instrumental track, performed on a Moog synthesizer, based on the most famous part of the opera Carmen by Georges Bizet. The B-side is 'Marina', a more acoustic instrumental, featuring faint vocals, guitars and a flute. 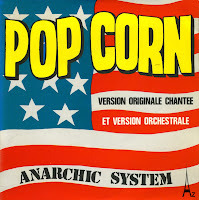 Anarchic System consisted of Gilles Devos, Jacqus Deville, Patrick Verette, Christian Lerouge and Michel Dhuy. Later incarnations of the band would draw inspiration from the rock genre. This remains an excellent example of Moog music.